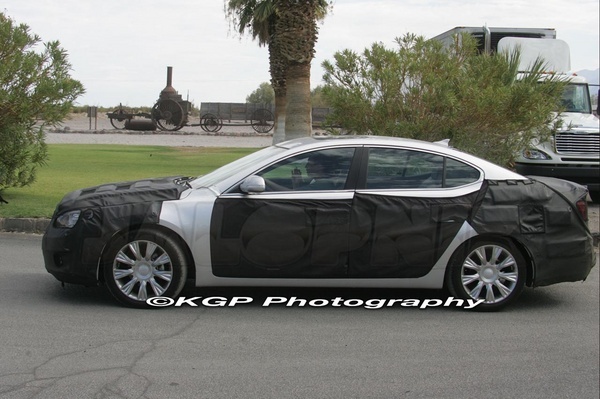 KGP spy photographers caught new Kia VG Sedan out testing in the desert recently, it won’t be session out of the near-luxury segment for much longer. As part of the ambiguously managed Korean duo’s rally towards a wider meeting and greater point, the VG vehicle shares bits with the Hyunda Azera hulk, but gets single sheetmetal and clear bits. Between stops at tourist destinations, we can see the Kia is generous some smart (and Audi-like) LED tail light and frenched exhaust tips a-la Lexus LS460. Those Koreans, always borrowing styling rudiments. Reportedly system-named VG within the ranks of Kia’s product development players, the big Kia is likely to divide mechanical bits with Hyundai’s Azera. Our newest shots disclose some more basics of the VG’s nicely nuanced shape, plus its interesting fencing, the elongated headlights, striking LED tail-light, and nicely integrated exhaust tips. The VG Sedan is projected to reach Kia showrooms sometime behind 2009 as a 2010 form.